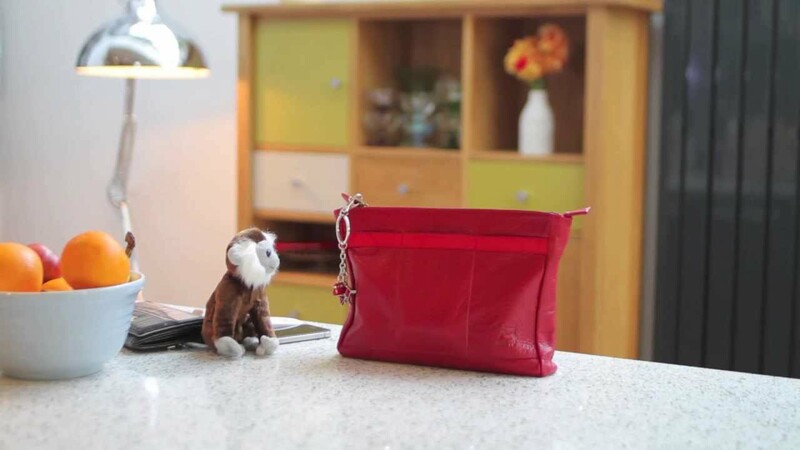 The British designed Leather BagPod in Ruby Red by REDDOG is an internal organiser for your handbag, it can also be used as a clutch, but it is so much more than this... It has been crafted with busy lives in mind, ensuring all your daily essentials are safe in a specific place. It can be expanded to accommodate all your needs and must have items with no mess and no need for rummaging around, just grab your BagPod and go! This designer handbag organiser is a must have fashion accessory, a perfect gift for the city girl!